Figure 6. Photo of the stormwater pond location (Southeast Pond) at the Teterboro Airport complex in the Hackensack Meadowlands, New Jersey, in late spring. 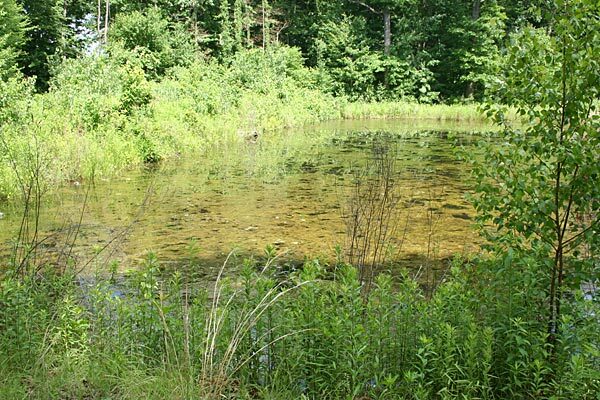 I heard southern leopard frogs calling from this site in April and June 2006. Photo taken 11 June 2008.